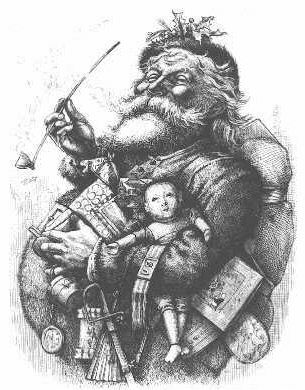 It’s one of the ironies of 19th century history that the same man who gave us the roly-poly image of Santa Claus that warms our hearts every year was also one of the most damaging political cartoonists of his era. But that’s the way it was with Thomas Nast, one of the artists Victor N. Navasky discusses in The Art of Controversy, a meditation on the art and implications of the caricature. Nast famously set his sights on Tammany Hall, as the Democratic Party machine in New York City was known, and particularly on William M. “Boss” Tweed, a businessman and politician who dominated the affairs of the city largely through his control of patronage in the form of both contracts and jobs. As Navasky relates, Nast’s work in Harper’s Weekly during the 1871 election campaign is credited with purging city government of the Tammany gang. Tweed and others in his circle were subsequently charged with enormous thefts of public funds and sentenced to prison. Tweed tried to flee, but a Spanish customs official arrested him after recognizing him from Nast’s caricatures. The story of Nast and Tweed illustrates many of the points made by Navasky, who is the former editor and publisher of The Nation and a former editor at The New York Times Magazine. One of those points is the power of caricature, which is a form of cartooning that emphasizes or exaggerates distinctive physical characteristics of the subject: Richard Nixon’s ski nose and widow’s peak, for example, or Lyndon Johnson’s ears. 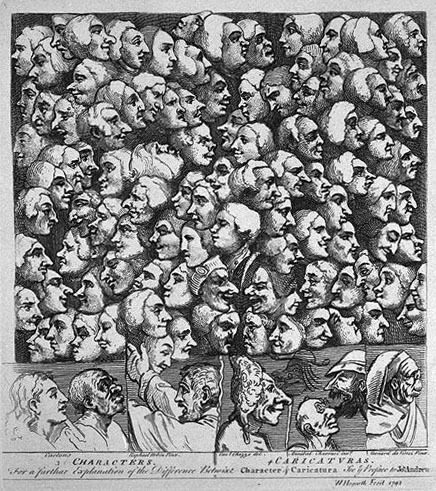 This is neither a technical analysis nor a history, although Navasky reaches back a few centuries in discussing the origins of caricature, noting that Leonardo da Vinci may have originated the form in the 16th century and William Hogarth was one of those who had perfected it in the 18th. This book is more a matter of Navasky thinking through the subject of political cartoons and not necessarily answering all of his own questions about the topic. The author writes a lot about what makes caricature so effective. How effective? He points out one case in which an artist’s work landed him on Adolf Hitler’s “death list” and another case in which a cartoonist for Arab daily newspapers in Europe and the Near East was assassinated. In a far different vein, he devotes a chapter to the Nazi periodical Die Stürmer, which conducted a relentless campaign to ridicule and demean Jews, with caricature as a principal method. The editor, Julius Streicher, was hanged after the Nuremberg trials, and the cover cartoonist, Philipp Rupprecht, was sentenced to six years in prison, a sentence Navasky thinks was too light. This potency raises in Navasky’s mind the question of whether political cartooning should enjoy exactly the free-speech protection that the written word has in the United States. 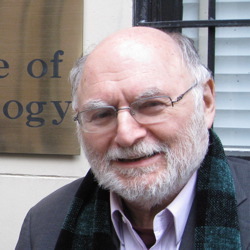 He isn’t arguing that it shouldn’t, but he explores significant ways in which the two forms of expression are not identical — including the lasting (and frequently negative) impression a caricature makes and the fact that one can answer words with words (as in a letter to the editor), but can hardly make an effective response to a cartoon. Navasky writes about editorial decisions (to publish or not to publish) such as the “Danish Muhammads” and a case of his own in which practically his whole staff opposed his choice to print a cartoon that portrayed Henry Kissinger “screwing the world.” This is a provocative book from Alfred A. Knopf about the use of caricature at various times in history and in various parts of the world. I screened editorial cartoons for my newspapers for the better part of four decades, but Navasky’s musings have given me new insights and raised questions that I had never considered.